WELLINGTON, New Zealand (AP) — Beauden Barrett has held off the challenge of rising star Richie Mo'unga and will wear the All Blacks No. 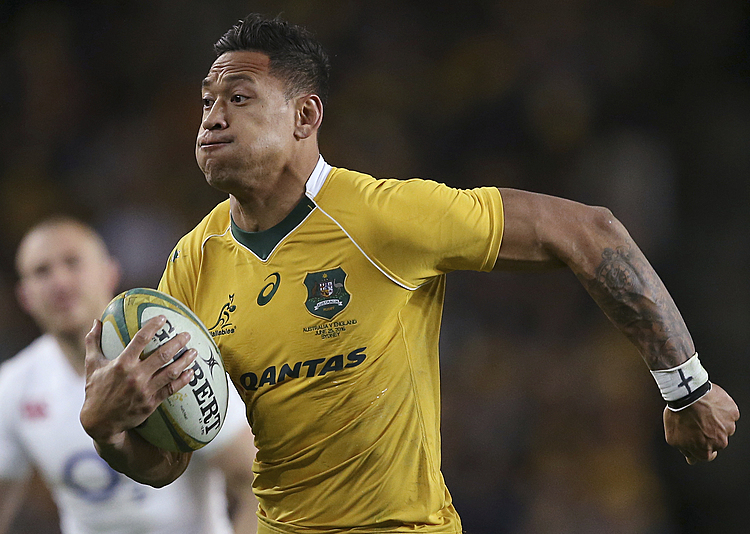 10 jersey in Saturday's first Bledisloe Cup and Rugby Championship test against Australia in Sydney. Barrett, who was World Rugby Player of the Year in each of the last two seasons, has been out of form and his grip on the flyhalf role had come under threat from Mo'unga, who steered the Crusaders to the Super Rugby title this month for the second straight year. 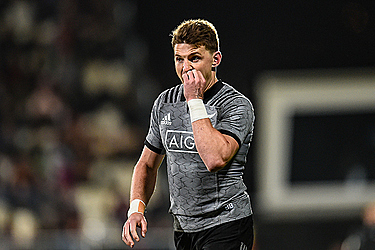 The All Blacks selectors had been under pressure to select the form player but instead decided to stick with Barrett and with Damian McKenzie as flyhalf cover on the bench, leaving Mo'unga out of their match 23. McKenzie is favored as the replacement because of his ability to cover other backline positions. The selectors also sprang a surprise Thursday in naming Jack Goodhue to play his second test at outside center ahead of the more experienced Anton Lienert-Brown. The decision allows the All Blacks to take advantage of the established and successful midfield combination between Goodhue and his Crusaders teammate Ryan Crotty, who starts at inside center. Waisake Naholo will start on the right wing, allowing his Highlanders teammate Ben Smith to move from that position into his specialist role at fullback. Utility Jordie Barrett has also been left out of the match 23. Captain Kieran Read returns to the starting lineup for his first test of the season after missing the June series against France while recovering from back surgery. Lock Brodie Retallick also returns for his first test since September and will reunited with locking partner Sam Whitelock who will become the first All Blacks lock to play 100 tests. Coach Steve Hansen said Whitelock has been "an outstanding contributor to this team for a long time, both on and off the field. "To play one test for the All Blacks is an achievement in itself but to be good enough to be selected and play 100 tests is a remarkable feat," he said. "In doing so he will join what is a small group of very special All Blacks." The Crusaders provide five of the All Blacks pack, including the entire front row of Owen Franks, Codie Taylor and Joe Moody. "We're all excited at what is shaping to be another classic Bledisloe Cup encounter her in Sydney on Saturday night," Hansen said. "We know that we have to earn the right to perform by preparing well and taking each moment that arises and that mindset has been reflected in our preparation this week which has been very good." New Zealand: Ben Smith, Waisake Naholo, Jack Goodhue, Ryan Crotty, Rieko Ioane, Beauden Barrett, Aaron Smith; Kieran Read (captain), Sam Cane, Liam Squire, Sam Whitelock, Brodie Retallick, Owen Franks, Codie Taylor, Joe Moody. Reserves: Nathan Harris, Kar Tu'inukuafe, Ofa Tuungafasi, Scott Barett, Ardie Savea, T.J. Perenara, Damian McKenzie, Anton Lienert-Brown.